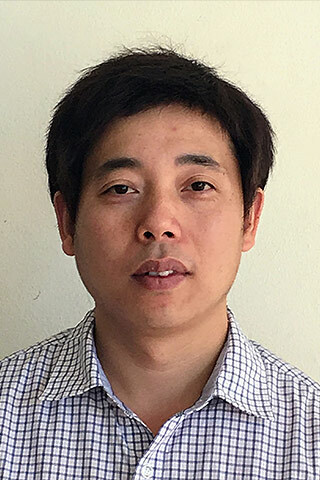 Dr Lei is currently a Senior Lecturer in the School of Electrical and Data Engineering and a Core Member of Centre for Electrical Machines and Power Electronics at the University of Technology Sydney (UTS). Dr Lei received his B.S. degree in Mathematics from Huanggang Normal University in 2003, M.S. degree in Mathematics and Ph.D. degree in Electrical Engineering from Huazhong University of Science and Technology in 2006 and 2009, respectively. From March 2016 to July 2018, he was a Lecturer at UTS. He was previously employed at UTS as a Chancellor’s Postdoctoral Research Fellow, focusing research on innovative multidisciplinary design optimisation methods for advanced electrical drive systems. Dr Lei has been working in multiple disciplinary areas, including Electrical Engineering, Mechatronic Engineering, Applied Mathematics, and Quality Control and Management. His current research interest includes design optimisation of advanced electrical machines and drive systems (with new magnetic materials), and the applications of Artificial Intelligence in Electrical Engineering, including the intelligent design of electromagnetic devices and smart control/coordination of drive systems and microgrid systems. Dr. Lei has published an authored book (in Springer) and over 100 peer-reviewed journal and conference papers since 2008. He is an active reviewer for a number of prestigious international journals, including IEEE Transactions on Industrial Electronics, IEEE Transactions on Vehicular Technology, IEEE Transactions on Energy Conversion, IEEE Transactions on Magnetics, IEEE Transactions on Applied Superconductivity, IET Electric Power Applications, Energies, etc. He was a core member of the organisation committees for the international conferences COMPUMAG2011 and ICEMS2017. Optimisation Methods: multidisciplinary, multilevel, multiobjective, topology, probability-based, robust, linear/nonlinear programming optimisation methods. Cloud Computing: (1) design optimisation of electromagnetic devices (including electrical machines) considering industrial big data; (2) efficient control/coordination of microgrid systems. Artificial Intelligence (AI): (1) AI based intelligent design of advanced electromagnetic devices; (2) AI based smart control of drive systems and microgrid systems. Electrical Machines and Drive Systems: permanent magnetic motors (including in-wheel motors) for electric vehicles; modern design optimisation methods. Microgrid: system-level optimal control/coordination of microgrid systems; robust control strategies; vehicle to grid technology. I am looking for PhD students who are interested in the above research areas. Students should have a Bachelor or Master degree in Applied Mathematics or Electrical Engineering. I also welcome any proposals related to multidisciplinary design optimisation theory and applications from prospective students. IEEE In some special oscillatory applications, especially those operated at high speeds, the eddy current loss of linear permanent magnet (PM) synchronous machine (LPMSM) should be fully considered because the loss might be large and concentrated in PMs during the oscillation period. This paper presents a loss analysis method based on computationally efficient finite element analysis (CE-FEA) for a 20 Hz oscillatory tubular LPMSM. Since the mover speed varies with time, an equally-divided model in 1/4 period is introduced to calculate the average PM eddy current loss. The flux density curves in PMs are calculated at 18 intervals by the CE-FEA, through which the change rate of magnetic flux density is analyzed, considering both the entering and leaving effects and coil end effects. The calculation results show that the eddy current loss is obviously concentrated in PMs near the two ends of coils. The calculation results at a speed of 3.6 m/s obtained by the CE-FEA and 2D&3D time-stepping FEAs are compared to validate the accuracy. Finally, the proposed method is validated by the experimental test results on a prototype LPMSM. © 1972-2012 IEEE. The high-frequency magnetic link is gaining popularity due to its lightweight, small volume, and inherent voltage balancing capability. Those features can simplify the utilization of a multilevel converter (MLC) for the integration of renewable energy sources to the grid with compact size and exert economic feasibility. The modulation and control of the MLC are crucial issues, especially for grid-connected applications. To support the grid, the converter may need to operate in an overmodulation (OVM) region for short periods depending upon the loading conditions. This OVM operation of the converter causes increased harmonic losses and adverse effects on the overall system efficiency. On top of that, the size and cost of filtering circuitry become critical to eliminate the unwanted harmonics. In this regard, a modified OVM scheme with phase-disposed carriers for a grid-connected high-frequency magnetic-link-based cascaded H-bridge (CHB) MLC is proposed for the suppression of harmonics and the reduction of converter loss. Furthermore, with the proposed OVM technique, the voltage gain with the modulation index can be increased up to the range which is unlikely to be achieved using the classical ones. Extensive simulations are carried out with a 2.24 MVA permanent magnet synchronous generator based wind energy conversion system, which is connected to the 11 kV ac grid through a high-frequency magnetic-link and a five-level CHB MLC. A scaled down laboratory prototype is implemented to validate the performance of the converter. © 2018 IEEE. In this paper, a permanent magnet synchronous machine (PMSM) for electric vehicles (EVs) is studied. Since EVs need to face some low speed road conditions, it is necessary to drive the machine to maintain a stable torque at low speed. The stator skew slot is often adopted to reduce torque ripple; however, it declines the output torque at same time. Besides, the difference between positive rotation performance and negative rotation performance, which caused by the skew slot are often ignored. Through the finite element analysis, the cogging torque and dynamic performance of the PMSM at different skew angle are studied. Moreover, the different influence of slot skew angle on positive and negative rotation performance is studied. Then, the optimum skew angle of the PMSM is studied through comprehensive consideration. Finally, the cogging torque of the prototype is verified to be less than 2 N·m through the experiment. IEEE Compared with rotary electrical machine in linear drive applications, linear machine without rotary-linear motion conversion equipment can have higher force density and efficiency. Linear superconductivity machine (LSM) consists of high performance superconducting magnet instead of permanent magnet can offer very high force density and efficiency compared with other linear machines, such as linear induction machine, linear permanent magnet machine and so on. In this paper, LSM with different stators and winding configurations are investigated, specifically LSMs with concentrated winding or distributed winding and unilateral side stator or bilateral side stator. The electromagnetic parameters and performance of these LSMs are calculated and compared by using the finite element method (FEM), then the main difference of various design methods in LSM have been concluded. © 1996-2012 IEEE. In this paper, a new nonlinear lumped parameter equivalent circuit model is proposed to calculate the core losses of a novel 16/10 segmented rotor switched reluctance motor (SSRM) for belt-driven starter generators. The model investigates the hysteresis, eddy current and anomalous losses by using the method of energy conservation. Four parameters are introduced in the proposed model to consider the effects of saturation and leakage flux in SSRM. They are the incremental leakage inductance, the incremental equivalent winding resistance, the incremental magnetizing inductance, and the incremental equivalent core-loss resistance. This model can overcome the hysteresis effects of winding resistance and leakage inductance on the current, and improve the accuracy of the parameters. To illustrate the advantages of the proposed model, an experiment platform is developed. Experimental results show that the proposed model can significantly improve the calculation accuracy of core losses of the SSRM. The accuracy is better than the conventional Epstein frame method. The proposed core-loss model and analysis method can be applied to other kinds of switched reluctance motors. © 2017 IEEE. In this paper, one novel heteropolar radial hybrid magnetic bearing (HRHMB) with low-power loss is proposed for flywheel energy storage system. First, its structure and equivalent magnetic circuit (EMC) are introduced in detail. Then, some main design parameters are analyzed based on EMC, including air-gap bias flux density, magnetic pole area, permanent magnet (PM) dimensions, and control current. Furthermore, to improve the performances of the novel HRHMB, the optimizations are implemented both on its structure and some key size parameters, such as the second air-gap length, PM height, and width. Finally, the optimal scheme is verified by the 3-D finite-element analysis, which indicates the maximum control current can be reduced to only 40% that of initial design by the optimizations. IEEE From the perspective of industrial production, the design and optimization of electrical machines are application oriented, including maximizing production quality and minimizing production cost in terms of different manufacturing conditions. To achieve these goals, this work presents an efficient application-oriented robust design optimization method for permanent magnet (PM) motors. The method consists of two main contributions. The first one is the development of an overall optimization strategy including qualitative and quantitative analyses to provide possible options for an application. Multi-physics analysis, uncertainty analysis, production cost and optimization models need to be investigated. The second one proposes a multilevel optimization method for the high-dimensional robust design problem of each option. To illustrate the advantages of the proposed method, PM motors with soft magnetic composite cores are investigated for domestic applications. The design optimization is conducted in terms of three motor options and three batch production volumes for both conventional deterministic and robust approaches, and it consists of eighteen high-dimensional multi-physics optimization problems in total. Main optimization results are presented and discussed. Experimental and simulation results are presented to validate the effectiveness of the proposed models and methods. © 1965-2012 IEEE. In the past decades, various methods have been investigated for assessing performance variation and robust optimization for electromagnetic device design under uncertainties and/or tolerances. However, in actual production, the manufacturing tolerances are variable to a certain extent, which can be optimized for integrating the performance, manufacturing cost, and production quality. This paper proposes a tolerance design optimization approach by optimizing the design parameters and tolerances simultaneously based on design for six sigma technique. A permanent magnet claw pole motor with soft magnetic composite cores is optimized by using the proposed approach. For this high-dimensional optimization problem involving electromagnetic and thermal performance, Kriging model and 3-D thermal network model are employed under the multilevel framework for increasing the optimization efficiency. Finally, through the analysis, the proposed robust tolerance optimization method shows good performance with improved motor performance as well as the diversity controlling without cost increasing. © 2017 IEEE. By using the powder metallurgy technology and the magnetic isotropy characteristic of the soft magnet composite (SMC) material, various kinds of perm anent magnet machines can be designed and fabricated easily. However, the torque density of permanent magnet machines with SMC cores are generally lower than those with silicon steels, with the traditional machine topology, since the permeability of the SMC is much lower than that of silicon steels. To develop the potential of SMC in high-performance drive applications, we propose a novel axial flux claw pole machine (AFCPM) with SMC cores. To eliminate the unwanted axial force in the AFCPM, the two-phase configuration concept is adopted, both the configuration of the stator-rotor-stator and the rotor-stator-rotor AFCPM are designed, analyzed, and compared. Based on the 3-D finite-element method, it can be found that the AFCPM with the configuration of the stator-rotor-stator can have very low cogging torque and torque ripple; moreover, since the rotor is in between of the two stator cores, the unbalanced axial force has been decreased greatly. On the other hand, the two-phases AFCPM with the rotor-stator-rotor can have the highest torque density and efficiency. © 2017 IEEE. In our previous study, the claw pole motor (CPM) shows promising magnetic concentrating performance for permanent magnet motors with soft magnetic composite cores. Meanwhile, its relatively complex structure also increases the core loss and cogging torque. To conduct the high dimensional optimization of the CPM with comprehensive analysis models, this paper presents an improved multilevel strategy of high efficiency. Since the holistic performances, including output torque, efficiency, cogging torque, and back electromotive force, are considered, an orthogonal design is utilized for the surrogate model building for increasing the optimization efficiency. A full factor sample method for the surrogate model is also conducted for comparison. The similar optimization results with the two kinds of models prove the effectiveness of the proposed method and optimal design. © 1965-2012 IEEE. Due to the advantages such as high energy density, high power density, high cyclic life, and environmentally friendly, the flywheel battery has the potential to solve the problem of energy storage. In order to improve the torque density and suspension performance of bearingless synchronous permanent magnet (PM) synchronous motors (BPMSMs), a novel rotor structure with V-shaped PMs is designed in this paper. Furthermore, the interior BPMSM (IBPMSM) with V-shaped PM which used for flywheel batteries of electric vehicles is researched in detail. Especially, the influence of geometrical parameters of V-shaped PM on suspension force and electromagnetic torque is investigated. Moreover, the corresponding static electrical magnetic characteristics including inductances and electromagnetic torque are also studied. The finite-element method is employed to evaluate the theoretical analysis of the proposed IBPMSM. In addition, the optimized motor is validated to have good suspension performance by some experiments. © 1972-2012 IEEE. In the conventional permanent magnet linear generators (PMLGs) used for oceanic wave energy conversion system, demagnetization could cause everlasting degradation in electrical power generation. This paper presents a new design that can be applied to various PMLGs to avoid demagnetization. To check the effectiveness of the proposed technique, a PMLG is considered, which allows both the fixed and variable length of airgaps for analysis. The finite element analysis is used by using the software package ANSYS/Ansoft to simulate the testing PMLG for two conditions: with and without using the proposed technique. Different parameters and characteristics of the PMLG under both conditions are presented in detail. Both the simulation and test results show that the proposed design is able to avoid the demagnetization problem successfully. © 1982-2012 IEEE.The traditional flux-switching permanent-magnet machines (FSPMMs) with radial lamination have serious partial magnetic saturation for their nonlinear magnetic path, where the maximal flux density is usually more than 2.0 T occurring at the edges/tips of stator teeth or rotor poles. In this case, the core loss of FSPMMs becomes evident especially beyond the rated speed, which leads to decrease of output power, torque/power density, and efficiency. To overcome these problems, an axially laminated flux-switching permanent-magnet machine (ALFSPMM) with high grain-oriented silicon steel stator and rotor cores is proposed. The detailed fabrication procedures are presented in this paper. The theoretical characteristics of the ALFSPMM, such as back electromotive force, self-/mutual inductance, and cogging torque are calculated by the two-dimensional finite-element method (FEM). The influence of misalignment between the stator core and the rotor shaft (a common issue in motor manufacturing) is investigated by the FEM. Experimental measurements of the prototype machine are presented to validate the FEM calculation. In addition, a simple low-cost method to measure the cogging torque is also presented in this paper. © 2016 Author(s). Soft magnetic composite (SMC) is a popular material in designing of new 3D flux electrical machines nowadays for it has the merits of isotropic magnetic characteristic, low eddy current loss and high design flexibility over the electric steel. The axial flux machine (AFM) with the extended stator tooth tip both in the radial and circumferential direction is a good example, which has been investigated in the last years. Based on the 3D flux AFM and radial flux machine, this paper proposes a new radial-axial flux machine (RAFM) with SMC cores and ferrite magnets, which has very high torque density though the low cost low magnetic energy ferrite magnet is utilized. Moreover, the cost of RAFM is quite low since the manufacturing cost can be reduced by using the SMC cores and the material cost will be decreased due to the adoption of the ferrite magnets. The 3D finite element method (FEM) is used to calculate the magnetic flux density distribution and electromagnetic parameters. For the core loss calculation, the rotational core loss computation method is used based on the experiment results from previous 3D magnetic tester. © 2017 Author(s). Since permanent magnets (PM) are stacked between the adjacent stator teeth and there are no windings or PMs on the rotor, flux-switching permanent magnet machine (FSPMM) owns the merits of good flux concentrating and robust rotor structure. Compared with the traditional PM machines, FSPMM can provide higher torque density and better thermal dissipation ability. Combined with the soft magnetic composite (SMC) material and ferrite magnets, this paper proposes a new 3D-flux FSPMM (3DFFSPMM). The topology and operation principle are introduced. It can be found that the designed new 3DFFSPMM has many merits over than the traditional FSPMM for it can utilize the advantages of SMC material. Moreover, the PM flux of this new motor can be regulated by using the mechanical method. 3D finite element method (FEM) is used to calculate the magnetic field and parameters of the motor, such as flux density, inductance, PM flux linkage and efficiency map. The demagnetization analysis of the ferrite magnet is also addressed to ensure the safety operation of the proposed motor. © 1982-2012 IEEE. Recent improvements in magnetic material characteristics and switching devices have generated a possibility to replace the electrical buses with high-frequency magnetic links in microgrids. Multiwinding transformers (MWTs) as magnetic links can effectively reduce the number of conversion stages of renewable energy system by adjusting turn ratio of windings according to the source voltage level. Other advantages are galvanic isolation, bidirectional power flow capability, and simultaneous power transfer between multiple ports. Despite the benefits, design, and characterization of MWTs are relatively complex due to their structural complexity and cross-coupling effects. This paper presents all stages of numerical design, prototyping, and characterization of an MWT for microgrid application. To design the transformer for certain value of parameters, the reluctance network method is employed. Due to the iterative nature of transformer design, it presented less computation time and reasonable accuracy. A prototype of designed transformer is implemented using amorphous magnetic materials. A set of experimental tests are conducted to measure the magnetic characteristics of the core and series coupling and open-circuit tests are applied to measure the transformer parameters. A comparison between the simulation and experimental test results under different loads within the medium-frequency range validated both design and modeling procedures. In this paper, various kinds of electrical machines with soft magnetic composite (SMC) cores are compared, based on the qualitative and quantitative comparison methods. In the first part, the performances of five typical electrical machines with SMC cores are qualitatively compared. Simplified power equations for transverse flux, axial flux, and radial flux electrical machines are deduced to show the main difference among them and key design points of each machine. In the second part, the outer rotor claw pole machine (CPM) and outer rotor transverse flux machine (TFM) are comprehensively compared in a quantitative way, based on the three-dimensional finite-element method. It shows that the power capability of the outer rotor CPM is much higher than that of the TFM. On the other hand, the outer rotor CPM has higher cogging torque and no-load losses than the TFM. Furthermore, the four outer rotor radial flux machines are optimized and compared with the outer rotor CPM. The calculated results of the outer rotor TFM are compared with the experiment results, showing that the analysis results match well with the experiment ones. Several useful and interesting conclusions have been obtained for the electrical machines with SMC cores. © The Institution of Engineering and Technology. The finite-control-set model predictive direct torque control (FCS-MPDTC) is a novel control scheme for permanent magnet synchronous motors (PMSMs). A key feature of FCS-MPDTC is that the eight possible voltage space vectors or switching combinations of the power converters are directly taken into account as the control input of the system. A cost function is used in FCS-MPDTC to evaluate each possible voltage space vector and the one with minimum cost is applied to the power converter. Due to the considerable torque and flux ripples, to improve the performance of FCS-MPDTC, this study presents an extended set of 20 modulated voltage space vectors with fixed duty ratio. For further improvement, a larger set size can be chosen, but this requires a larger computing power. To mitigate the computational burden caused by increased number of voltage space vectors, a pre-selective scheme is designed for the proposed FCS-MPDTC to filter out the impractical voltage vectors instead of evaluating all 20 voltage space vectors. The drive system efficiencies of conventional direct torque control, conventional FCS-MPDTC and proposed method are investigated. The theory and simulation are validated by experimental results on a PMSM prototype. © 1965-2012 IEEE. In this paper, a new 3-D flux transverse flux flux switching permanent magnet machine (3-DFTFFSPMM) is proposed. The cost of this machine is very low since both the soft magnetic composite (SMC) cores and ferrite magnets are very cheap, and the performance of this machine is good due to the special designed topology. For the qualitative analysis and initial design, the simplified power equation is developed to find the optimal design, and the 3-D finite-element method is applied for the quantitative analysis. Considering it is very difficult to obtain a special ferrite magnet in the current market, the 3-DFTFFSPMM for prototyping in the workshop is improved with a new design. For the prototyping, the SMC cores are made by using the manual die compacting technology. Last, the efficiency map of these two machines is obtained to judge the operational performance. © 2017 MDPI AG. All Rights Reserved. As one of the main parasitic parameters in permanent magnet (PM) synchronous machines (PMSMs), cogging torque is the main component of the torque ripple, which has always been the handicap in the high-performance, low-speed drive systems. Over the last two decades, various methods have been proposed to decrease the cogging torque in both radial-flux and axial-flux PMSMs. Among these methods, stator slot skewing, stator tooth notching, PM skewing, PM shifting, and pole pairing are extensively investigated. However, little work has been done on reducing the cogging torque of the claw pole machine (CPM), whose cogging torque cannot be ignored. In this paper, the general methods that have been used to reduce the cogging torque in radial-flux and axial-flux PMSMs are developed and verified in a CPM with a soft magnetic composite (SMC) core. The 3-D finite element method (FEM) is used to calculate the cogging torque and PM flux linkage per turn. By comparing different cogging torque reduction technologies, it ca n be found that the magnet step skewing and unequal claw pole width are very suitable for CPM. © 2017 by the authors. Licensee MDPI, Basel, Switzerland. Electrical machines are the hearts of many appliances, industrial equipment and systems. In the context of global sustainability, they must fulfill various requirements, not only physically and technologically but also environmentally. Therefore, their design optimization process becomes more and more complex as more engineering disciplines/domains and constraints are involved, such as electromagnetics, structural mechanics and heat transfer. This paper aims to present a review of the design optimization methods for electrical machines, including design analysis methods and models, optimization models, algorithms and methods/strategies. Several efficient optimization methods/strategies are highlighted with comments, including surrogate-model based and multi-level optimization methods. In addition, two promising and challenging topics in both academic and industrial communities are discussed, and two novel optimization methods are introduced for advanced design optimization of electrical machines. First, a system-level design optimization method is introduced for the development of advanced electric drive systems. Second, a robust design optimization method based on the design for six-sigma technique is introduced for high-quality manufacturing of electrical machines in production. Meanwhile, a proposal is presented for the development of a robust design optimization service based on industrial big data and cloud computing services. Finally, five future directions are proposed, including smart design optimization method for future intelligent design and production of electrical machines. This paper presents a robust approach for multidisciplinary design optimization of permanent magnet (PM) motors with soft magnetic composite (SMC) cores to improve their manufacturing quality in batch production. First, a general multidisciplinary design analysis framework is developed for PM-SMC motors, which includes electromagnetic, thermal, modal, and manufacturing analyses. Second, an improved multilevel optimization method is presented to improve the efficiency of the robust optimization. Finally, to demonstrate the effectiveness, a PM-SMC transverse flux machine is investigated. The numerical solutions, including electromagnetic and thermal analyses, are validated by the experimental results. As shown, the proposed method can significantly increase motor's reliability and greatly reduce the computation cost, which benefits the mass production in industrial applications. A system-level design optimization method under the framework of a deterministic approach was presented for electrical drive systems in our previous work, in which not only motors but also the integrated control schemes were designed and optimized to achieve good steady and dynamic performances. However, there are many unavoidable uncertainties (noise factors) in the industrial manufacturing process, such as material characteristics and manufacturing precision. These will result in big fluctuations for the product's reliability and quality in mass production, which are not investigated in the deterministic approach. Therefore, a robust approach based on the technique of design for six sigma is presented for the system-level design optimization of drive systems to improve the reliability and quality of products in batch production in this work. Meanwhile, two system-level optimization frameworks are presented for the proposed method, namely, single-level (only at the system level) and multilevel frameworks. Finally, a drive system is investigated as an example, and detailed results are presented and discussed. It can be found that the reliability and quality levels of the investigated drive system have been greatly increased by using the proposed robust approach. Teng, Q., Zhu, J., Wang, T. & Lei, G. 2012, 'Fault tolerant direct torque control of three-phase permanent magnet synchronous motors', WSEAS Transactions on Systems, vol. 11, no. 8, pp. 465-476. The model of three-phase permanent magnet synchronous motor (PMSM) with loss of one phase or loss of one transistor is built and its fault tolerant direct torque control (DTC) is investigated. Extra-leg extraswitch inverter is put to use in the post-fault operation. Two different flux estimators are employed in order to calculate stator flux linkage & their corresponding torque and switching table is kept the same as the case of DTC for the healthy motor. The parameters of PI controller and hysteresis controller are determined by differential evolution algorithm. Dynamic responses of both healthy and unhealthy PMSM DTC system adopting aforementioned two flux estimators are given to compare their performance via simulation and some discussion is presented. The simulation results show the proposed fault tolerant DTC yields satisfactory torque and speed control no matter which one of two flux estimators provided in the paper is employed. An evolutionary algorithm, the estimation of distribution algorithm (EDA), is used to reconstruct the objects that buried in planar layered media. It is essential that fast forward solvers be used to solve the forward scattering problem for the nonlinear inverse scattering methods, since it can avoid errors by approximation. The EDA is a predominant all-round optimizing method in the macroscopic simulation of evolution process species of nature. Recent studies have shown that the EDA provides better solution for nonlinear problems than the microscopic evolutionary algorithm, such as genetic algorithm (GA) in some cases. The EDA is simpler, both computationally and theoretically, than the GA. We discuss how this can be used to calculate the permittivity and conductivity of the targets. We show preliminary results indicating the potential of reconstruction for buried objects. Compared with other methods, the experiment result shows that the EDA algorithm reduces the number of iteration. In this paper, a novel configuration for University of Technology Sydney (UTS) plug-in hybrid electric vehicle (PHEV) is introduced which has only one electric machine functioning as either a motor or generator at a time. For continuous working, more strict requests are made to the drive machine, mainly including good thermal dissipation capability, high torque density, great flux weakening ability, etc. One new laminated structure flux switching permanent magnet machine (LSFSPMM) is proposed in this paper, which stator and rotor are laminated in parallel to the axis. It can make full use of PM flux linkage and reduce the core loss particularly in the high excitation frequency. Based on the 2D model prediction by finite element algorithm (FEA), LSFSPMM has lower cogging torque, higher torque density, greater flux weakening ability, higher efficiency, etc., and hence it can be regarded as one ideal candidate for the UTS PHEV drive system. A multiobjective sequential optimization method (MSOM) is presented to deal with practical design problems of industrial electromagnetic devices. MSOM consists of a sequential optimization strategy of multiobjective optimization model and a modified central composite design (CCD) sampling method. To improve the optimization efficiency, Kriging model is employed to construct the approximate multiobjective optimization models. Then a modified CCD sampling method is presented to update the sample sets with the obtained Pareto optimal points and Kriging models. Thereafter, by investigating a test function and a three-dimensional permanent magnet transverse flux machine, it can be found that the proposed method is efficient, and the computation cost of finite element analysis can be saved remarkably. This paper applied the radial basis function (RBF) collocation method to solve electromagnetic problems with moving conductors. A superposition RBF collocation method under moving coordinate system was presented to compute the convective-diffusion Maxwell equations of the transient eddy current magnetic field. The field, which was regarded as a superposition of two fields generated by the excitation current and the eddy current respectively, was constructed with RBFs in separate moving coving coordinate systems. According to the linear property of the RBF collocation model, the corresponding governing equations could be directly decoupled and solved through time-domain iteration. Therefore, the motion of the conductor could be transferred into the relative motion between coordinate systems. And the RBF model would not change during the iteration, which avoided the model reconfiguration due to the conductor motion. To examine the method, two numerical examples: TEAM workshop problem 28 and an electromagnetic launcher system were computed. The results agreed well with the experiment data shown in literatures. © 2011 Chin. Soc. for Elec. Eng. Radial basis function (RBF) collocation method is a kind of pure meshless numerical method and has been applied to solve static and transient electromagnetic problems. Especially, it shows a great advantage in the computation of moving conductor eddy current magnetic problems. To simulate the conductor movement, the field equations are decoupled with superposition principle and solved by time-domain iteration under moving coordinate systems. One problem is that the coefficient matrix of RBF governing equations, which needs to be computed in each iteration step, is full. As the number of RBF nodes increases, the computational capacity will grow rapidly. The domain decomposition method (DDM), which divides the solving domain into several subdomains, could be conveniently combined with RBF collocation method. This paper first applies DDM combined RBF collocation method to compute transient eddy current magnetic field problems with moving conductors. With this novel method, the iteration only proceeds in the subdomains containing conductors. And the magnetic field in the subdomains without conductors needs to be computed just once before the iteration. The dimension of the coefficient matrix computed in the iteration is only determined by the number of nodes in the corresponding subdomains and on the interfaces. An engineering problem is computed to show that the DDM combined RBF collocation method is much more efficient than the normal one. In this paper, one new axially laminated-structure ?ux-switching permanent magnet machine (ALSFSPMM) with 6/7 (stator/rotor) poles is proposed. Different from the conventional ?ux-switching permanent magnet machine (FSPMM), the stator and rotor of ALSFSPMM are laminated parallel to the axial direction, which can make full use of PM ?ux linkage, decrease part magnetic saturation, and reduce the iron loss particularly in the range of high speed. By the 2-D model prediction of ?nite element algorithm (FEA), ALSFSPMM has lower cogging torque, stronger ?ux weakening ability, greater torque density, higher ef?ciency, etc., and hence it is an ideal candidate for the drive system of plug-in hybrid electrical vehicle (PHEV). Lei, G, Li, Y & Shao, K 2010, 'Sequential sampling technique for fast optimizing the design of electromagnetic devices', Huazhong Keji Daxue Xuebao (Ziran Kexue Ban)/Journal of Huazhong University of Science and Technology (Natural Science Edition), vol. 38, no. 1. A fast design method based on sequential sampling technique is presented for optimizing design engineering electromagnetic devices. Compared with traditional sampling techniques, the proposed technique can reduce the design spaces by the space reduction method. Sequential sampling method has a definite sampling purpose and it can avoid the unnecessary waste of purposeless sampling. Subsequently, the example was investigated. The comparison of the results show that the computation cost of finite element analysis can be saved obviously with this technique. Moreover, it can optimize the design problem directly and improve the fitting accuracy of approximate model. In summary, the proposed method is superior in many respects to direct optimization method and the former sequential optimization method. We present two new strategies for sequential optimization method (SOM) to deal with the optimization design problems of electromagnetic devices. One is a new space reduction strategy; the other is model selection strategy. Meanwhile, radial basis function (RBF) and compactly supported RBF models are investigated to extend the applied model types for SOM. Thereafter, Monte Carlo method is employed to demonstrate the efficiency and superiority of the new space reduction strategy. Five commonly used approximate models are considered for the discussion of model selection strategy. Furthermore, by two TEAM benchmark examples, we can see that SOM with the proposed new strategies and models can significantly speed the optimization design process, and the efficiency of SOM depends a little on the types of approximate models. Li, Y, Shao, K, Lei, G & Zhang, A 2009, 'Analysis and simulation of comb-drive electrostatic-structure coupled field', Huazhong Keji Daxue Xuebao (Ziran Kexue Ban)/Journal of Huazhong University of Science and Technology (Natural Science Edition), vol. 37, no. 2, pp. 96-99. A 2D finite element model using reduced order modeling principles for lateral electrostatic comb-drive actuator was proposed, and its coupled field was analyzed. This technique could reduce the comb-drive to a group of equivalent lumped parameters finite elements, which capture the input and output device behavior and its static and dynamic characteristics. The complexity of reduced order model was reduced to a great extent and computing time is decreased. The problem of the strongly coupled field is effectively solved by reduced order modeling. The relation between structure parameters and the electrostatic force and the displacement was discussed. Simulation results were validated using a finite element method, which is not reduced, both methods give very similar results, the maximum displacement error is less than 5%. Li, Y, Guo, Y, Lei, G & Shao, K 2009, 'Sequential inference method of electromagnetic optimization in engineering', Huazhong Keji Daxue Xuebao (Ziran Kexue Ban)/Journal of Huazhong University of Science and Technology (Natural Science Edition), vol. 37, no. 4, pp. 25-28. Sequential inference method was presented for engineering electromagnetic optimization by the combination of statistical approximate models with sequential sampling method. In the implementation, approximate models include radial basis model and compactly supported radial basis model; sequential sampling and optimization process is composed of coarse optimization process and fine optimization process. Compared with traditional direct optimization method, the optimization models constructed by the sequential sampling method only need a small sample data, and the overall computational effort needed is much less than that by direct optimization method. Meanwhile, sequential method can provide prior information for the optimization algorithm. Finally, to illustrate the performance of the new method, Monte Carlo simulation experiment and the IEEE TEAM Workshop Problem 22 are investigated. Analysis demonstrates that the computation cost of the new methods is less than 1/10 of direct optimization algorithm. The optimization results are also satisfied the design objectives. Lei, G, Li, YB, Shao, KR, Yang, GY & Zhao, J 2009, 'Sequential Kriging optimization method for superconducting magnetic energy storage', Zhongguo Dianji Gongcheng Xuebao/Proceedings of the Chinese Society of Electrical Engineering, vol. 29, no. 18, pp. 119-124. Superconducting magnetic energy storage (SMES) is a research hotspot in the application field of superconducting materials. Using the property of low loss and fast response of superconducting magnet, SMES is employed as a multifunctional electromagnetic system to store and release the power for power system with the connection of power electronic converters. SMES has capacity to reach the objects, such as storing large amount of energy with very low loss, improving the power supply quality and enhancing the stability and reliability of power system. IEEE TEAM Workshop Problem 22 deals with the optimization design of SMES, which is a benchmark problem including low and high dimensional, discrete and continuous optimization cases. To address this problem, sequential optimization method (SOM) and Kriging model are fully discussed. It can be seen that SOM can obtain satisfactory solutions, and the overall computational effort needed is much less than that by direct optimization method. For the 3 parameters problem, the number of finite element sample points is less than 1/10 compared with that of direct method; and for the 8 parameters problem, that number is about 1/3 compared with that of direct method. So the proposed method can be widely employed in the optimization design problem of electromagnetic devices. In this article, a novel and normalized Z-transform finite-difference time-domain (ZTFDTD) method is presented. This method uses a more general form of Maxwell's equations using the E, H, D fields. The iterative model of D-E-H-D can be obtained by using the Z-transform resulted frequency-dependent formula between D and E. The advantages of the ZTFDTD consist in that the discrete equations are simple, the results are precise, easy to program and capable of dealing with the key technologies of finite-difference time-domain (FDTD), such as absorbing boundary conditions (uniaxial anisotropic perfectly matched layer, UPML) and near-to-far-field transformation. The ZTFDTD method is then used to simulate the interaction of electromagnetic wave with plasma. Using a simplified two-dimensional model, the stealth effect of inhomogeneous, unmagnetized plasma is studied both in different electron densities of plasma, different electromagnetic wave frequencies and different plasma collision frequencies. The numerical results indicate that plasma stealth is effective in theory and a reasonable selection with the plasma parameters that can greatly enhance the effectiveness of plasma stealth. © 2009 Higher Education Press and Springer-Verlag GmbH. Using Gaussian numerical integration formula, the problem of estimating the particle size distribution (PSD) in ferrofluids can be converted into an electromagnetic inverse problem. Then we present two Bayesian analytical estimators, minimum mean-square error estimator and maximum a posteriori estimator, to reconstruct the PSD of magnetic particles. In the implementation, weighted minimum norm approach, maximum likelihood estimator, and weighted least square estimator are employed to determine prior information for the unknown parameter. We also present two methods to provide the noise information for the error term. Finally, using Monte Carlo method, we give a ferrofluid example to illustrate the efficiency of the proposed methods. This paper presents a novel radial basis function (RBF) collocation method to solve the moving conductor eddy current problem. The magnetic field is considered an addition of two fields generated respectively by the excitation current and the eddy current according to the source superposition principle. The corresponding governing equations are decoupled and solved with the RBF. Moving coordinate systems in which the separate fields are computed are also constructed to avoid the model reconfiguration caused by the motion. Electromagnetic field equations are analyzed with kinetic equations and circuit equations together to simulate the motion process. A practical engineering problem is computed to verify the method. Improved sequential optimization method (SOM) and dimension reduction optimization method (DROM) are presented for high dimensional optimization design problems of electromagnetic devices. Improved SOM can simultaneously optimize the statistical approximate models and optimization algorithms more efficiently compared with SOM. Using DROM, a high dimensional problem can be converted into a low dimensional problem with expert experience or some design of experiment techniques. Then two TEAM benchmark problems (Problem 22 and Problem 25) are investigated to illustrate the efficiency of the proposed methods. From the experimental results, we can see that the presented methods can obviously reduce the computational cost of finite element analysis, while the optimal results also satisfy design specification. We present two statistical analytical approaches to estimate the particle size distribution of magnetic nanoparticles. They are termed best linear unbiased estimator and linear minimum mean square error estimator. These approaches are implemented and quantified within the formalism of linear unbiased estimation theory. To illustrate the efficiency of the proposed approaches, we give two examples of the application to the particle size distribution analysis in ferrofluids with normal and lognormal samples. In both cases we compare the reconstruction distributions using our methods with those calculated via the electron microscopy images of the ferrofluid particles. © 2008 IOP Publishing Ltd.
Lei, G, Shao, K, Li, Y & Yan, M 2008, 'Constant false alarm rate detection against Weibull clutter background', Huazhong Keji Daxue Xuebao (Ziran Kexue Ban)/Journal of Huazhong University of Science and Technology (Natural Science Edition), vol. 36, no. 3, pp. 129-132. Constant false alarm rate (CFAR) detection for Weibull background and linear detector is discussed. In homogeneous background, using moment estimation we get the analytical expression of the parameters, and the performance is analyzed for CFAR-detector based on moment estimation. The analysis indicates that, the obtained variance of parameter is smaller than that using maximum likelihood estimation (MLE) and order statistics, and CFAR loss is smaller than that using the CFAR algorithm based on MLE. In non-homogeneous background, a Bayes-CFAR detector is presented and detecting performance is also analyzed. The performance of Bayes-CFAR detector is better than that based on moment estimation, and also better than that using MLS and order statistics. The smaller the sample data is, the better performance it will present. Three sequential optimization methods, sequential least square method, sequential Kriging method, and sequential linear Bayesian method, are presented for the optimization design of electromagnetic device. Sequential optimization method (SOM) is composed of coarse optimization process and fine optimization process. The main purpose of the former is to reduce the design space; while the target of the latter is to update the optimal design parameters. To illustrate the performance of the proposed methods, an analytic test function and the TEAM Workshop Problem 22 are investigated. Experimental results of test function demonstrate that SOM can obtain satisfactory solutions; and practical application illustrates that the number of finite element sample points is less than 1/10 compared with that by direct optimization method, while the optimal results are even better than that by direct optimization method. Shao, K, Yan, M, Lei, G & Hu, XW 2007, 'Absorption of electromagnetic waves in unmagnetized inhomogeneous plasma', Huazhong Keji Daxue Xuebao (Ziran Kexue Ban)/Journal of Huazhong University of Science and Technology (Natural Science Edition), vol. 35, no. 6, pp. 57-59. A novel arid normalized Z-transforms finite-difference time-domain (ZTFDTD) method is presented, in which a more general form of Maxwell s equations using the E, H, D fields was employed. The iterative model of D-E-H-D was obtained by using the Z-Transform resulted frequency-dependent formula between D and E. ZTFDTD method is discrete and simple, whose results are precise, easy to program and h to deal with the key technologies of FDTD, such as absorbing boundary conditions (UPML), near-to-far-field transformation. Thus, this method was used to simulate the interaction of electromagnetic wave with plasma. The stealth effect of inhomogeneous, unmagnetized plasma was studied using a simplified two-dimension mode both in different electron density of plasma, different electromagnetic wave frequencies and different plasma collision frequencies. Numerical results indicate that plasma stealth is effective theoretically, and reasonable selection with the plasma parameters can selected reasonably to enhance the effectiveness of plasma stealth remarkably. © 2018 IEEE. State-of-charge (SoC) is one critical parameter for battery management system. SoC cannot be directly measured but it can be estimated according to some information of battery management system such as voltage and current. Two commonly used methods to estimate the SoC are 1) by using current times a constant internal resistance, and 2) by referring to a SoC-resistance lookup table to interface with an open-circuit-voltage (OCV)-SoC lookup table. However, these widely used testing methods of internal resistance have not considered the influence of SoC, temperature and current rate. which are in fact related to internal resistance. Therefore, ignoring the temperature and current rate factors will obtain inaccurate internal resistance measurement and battery SoC estimation. This paper hence proposes a dynamic resistance model with improved accuracy through combining SoC-OCV at different ambient temperatures with different discharging rates defined at the standard ambient temperature (25 degree) condition. The proposed method will not only improve the accuracy but also reduce the testing time. © 2017 IEEE. Soft magnetic composite (SMC), as a relatively new magnetic material, has attracted much attention in the design of electrical machines. This paper aims to discuss the specific and common problems in the design of permanent magnet (PM) motors with SMC cores. Firstly, the motor topology design is introduced for taking advantage of the SMC properties. Then, precise material testing and modeling methods are presented for the accurate core loss calculation of PM-SMC motors. Considering the influence of manufacturing process, two design optimization approaches are utilized for enhancing the motor performance. For improving the electromagnetic properties of the SMC cores, the orthogonal experiment is proposed for investigating and optimizing the heat treatment process. Considering the manufacturing tolerances in the actual production, the robust tolerance design optimization approach is introduced for pursuing the optimal motor performance and manufacturing cost with high reliability. © 2018 IEEE. In this paper, a five-phase E-core bearingless fluxswitching permanent magnet (BSFPM) motor for flywheel batteries is proposed and optimized. First, the structure and the principle of the BSFPM motor are described simply. Second, the trial and error method is used to obtain the most reasonable relationship of center tooth arc width and edge tooth arc width, and then the electromagnetic torque and suspension force after optimization are got. The motor after optimization has smoother five-phase flux-linkage and the disturbance of the torque and suspension force decrease. © 2018 IEEE. In this paper, the skew angle of the permanent magnet synchronous motor (PMSM) for electric vehicles (EVs) is studied. The stability of the output torque of the driving motor is important for the EVs. The influence of skew angle on the Back-electromotive force, cogging torque, and output torque are studied by finite element analysis. The optimum skew angle of the stator slot is analyzed for the prototype. The results show that the proposed PMSM has better comprehensive performance after the optimization of the skew angle. © 2018 IEEE. For electrical machines, they can be designed with various kinds of the configurations, including the different stator and rotor structures and even the different winding configurations. For the design of them, the different design ideas can bring them with the different performance. In this paper, the design objective is to explore the best configurations for a linear superconductivity machine, which can be used for the magnet levitation train transportation  . In this paper, the advantages and the working principles of the linear superconductivity machine are presented at first. Then the different configurations of them are shown and discussed which including the single side and double side configuration and as well as the fractional slot concentrated winding and the integral slot distributed winding configuration. For the performance comparison, the finite element method is adopted. At the last, the performance of the linear superconductivity machine with the above configurations are shown. © 2017 IEEE. Sequential multiobjective optimization method based on radial basis function model is presented in this work to deal with the multiobjective design and optimization problems of engineering electromagnetic devices. Firstly, the initial sample set can be generated by using the sequential optimization method (SOM). SOM can greatly reduce the sample size by integrating the advantages of optimization algorithms and approximate models. Secondly, the optimal Pareto solutions of the multiobjective design problems can be obtained by updating the samples and approximate models sequentially. Thereafter, we calculate the root mean square error for each objective to determine whether it has achieved the default value. Finally, to illustrate the performance of the new method, a classic mathematic test function and a design example of permanent magnet synchronous machine are investigated. It can be found that the proposed method combined the advantages of effectiveness of sequential optimization strategy and lower computation cost of approximate models. The obtained solutions are satisfactory while the computation cost of finite element analysis needed by the new method is less than 1/5 compare with that of direct optimization algorithm. © 2016 IEEE. Electrical drive is the heart in many modern appliances, as well as industry equipment and systems. In order to achieve the best design objectives, such as high performance and low material cost, various deterministic optimization methods have been developed for optimal design of electrical machines, power electronic converters, and parameters of control algorithms. On the other hand, the final quality of a motor drive system in mass production depends highly on the manufacturing technology employed and can be greatly affected by essential manufacturing tolerances and unavoidable uncertainties due to material diversity, machining error, and assembling inaccuracy, etc. An aggressively optimized design may be difficult to mass produce and end up with high manufacturing cost and/or high rejection rates. To solve this challenge, a robust design technique called design for six-sigma has been introduced to improve the manufacturing quality of both electrical machines and drive systems based on the multi-disciplinary, multi-level and multi-objective optimization methods. This work aims to show the development of these methods and their applications. © 2017 IEEE. Soft magnetic composite (SMC) material is a new soft magnetic material, now it is popular in the designing of permanent magnet machine where high operation frequency and 3-D flux path required, due to its advantages of low eddy current loss and magnetic isotropy. © 2017 IEEE. The electrical machines are gaining more and more attentions nowadays, especially for the electric vehicle application. Compared with the radial flux machine, the axial flux machine can have higher torque density and efficiency due to its tight structure. However, most of the axial flux machines are designed with the surface mounted permanent magnets (PMs) rotor, where the reluctance torque ability is reduced. To improve the torque ability of the axial flux machine, a new axial flux interior permanent magnet machine (AFIPM) is proposed and analyzed in this paper. The rotor of the proposed AFIPM is manufactured by the rolling the electrical steels as a ring core, then the PMs are inserted in the holes of the rotor ring, the axial side of the rotor ring is designed with the several different steps to eliminate the harmonics of the back EMF as well. The static performance and electromagnetic parameters of the AFIPM is calculated and it shows that the reluctance torque ability of the AFIPM is very good, based on the 3D finite element method (FEM) and frozen magnetic permeability technology. © 2017 IEEE. Flux-switching permanent magnet machines (FSPMMs) have been investigated for hybrid electric vehicles (HEVs). This paper presents an optimal FSPMM with 12 stator poles to meet the minimal performance specifications required by the drive machine in the 2010 Prius HEV. After a qualitative analysis based on size equation to briefly compare performances of FSPMMs with four rotor topology structures, a quantitative analysis method based on multilevel optimization method and finite element analysis model is presented to obtain an accurate performance comparison. It is found that FSPMMs with different topology structures have different optimal structural parameters, and the optimal one with 13 rotor poles has the best performances in terms of output power and efficiency among four different rotor structures. The proposed method can be employed as an accurate design optimization and comparison method for FSPMMs with different topology structures and highly dimensional structural optimization parameters. © 2017 IEEE. Demagnetization is one of the noticeable problems in almost every permanent magnet linear generator (PMLG) for oceanic wave energy conversion. To avoid the degradation of electrical power generation capability, a PMLG with a new feature of variable air gap length is proposed in this paper. To verify the effectiveness of the proposed method, a PMLG has been designed which is simulated for both the fixed and variable air gaps. The finite element analysis is performed for simulation for analysis of the PMLG with the conventional and the proposed methods by using the software package ANSYS/Ansoft. The voltage, current, power, magnetic flux density, and force components of the PMLG are analyzed and discussed. The simulation results show that the new method can effectively avoid the demagnetization problem. © 2017 IEEE. A modified over-modulation (OVM) scheme with phase disposed carriers to improve switching performance of cascaded H-bridge multilevel converter is depicted in this article. With the regular OVM techniques, pulse dropping region has higher conduction loss, greater signal distortion and voltage gain. In the proposed OVM method, the switching and conduction loss scenario is improved with lower harmonic distortion. Also, the voltage gain can be increased up to limited range. Four types of reference signals, such as pure sinusoidal signal, sinusoidal 60° bus clamped signal, third harmonic injected signal and third harmonic injected 60° bus clamped signal are used to investigate the overall performance with the proposed OVM method. The OVM technique is applied to a 3.0 kV, 120 kW, 5-level cascaded H-bridge converter and simulated in MATLAB/Simulink environment. The results demonstrate reduced output harmonic distortion, increased voltage gain, lower switching and conduction loss as well as improved efficiency on the whole. © 2017 IEEE. By using the low mass density compaction, the electrical machine with soft magnetic composite (SMC) cores has shown its great advantage of the low manufacturing cost over that with silicon steels, especially in the mass production. For the laboratory prototype, wire cutting method is widely used to build the SMC cores for electrical machine. However, cutting the SMC preform block can destroy the magnetic properties of the SMC material, making that the electrical machine made in the laboratory cannot have the same performance as that in the mass production. To minimize the gap between the laboratory prototype and the mass production, the SMC cores should be made by the die compaction. However, to achieve high mass density, the compact pressure must be high and the productivity is low. On the other hand, low mass density compaction would greatly increase the productivity, but the core performance may deteriorate, which can be dealt with careful design and optimization of electrical machine. This paper presents our recent investigation on the manufacturing process of soft magnetic cores. The details of designing the die tools and building the SMC cores by using these tools are described. © 2017 IEEE. A novel extended state observer (ESO)-based vector control (VC) strategy is developed for permanent magnet synchronous motor (PMSM) drive systems with only one phase current sensor. Generally, to achieve high precision control, two phase current sensors are indispensable for successful operation of the feedback control. In response to a phase current sensor fault, by use of technique of ESO, a new observer for estimating both the remaining two phase currents and time-varying stator resistance is put forward. To improve the performance and decrease system high frequency vibration, a nonlinear exponential function is used to replace the switch function in conventional ESO. The resultant ESO-based VC strategy for PMSM drive system with single phase current sensor has strong robustness and satisfactory control performance. Numerical simulation validates the feasibility and effectiveness of the proposed scheme. © 2017 IEEE. Linear induction motor (LIM) drive suffers heavily from low efficiency due to its large air-gap length, the end-effects, and the partial load working conditions. Therefore, an optimization method is proposed in this paper to improve the LIM drive operating efficiency from both design and control levels. First, the genetic algorithm (GA) is applied to design optimization of LIM to attain higher efficiency and power factor. Second, a novel loss model for LIM drive is proposed to analyze both LIM loss and inverter loss. Third, efficiency optimization control (EOC) scheme based on the loss model is put forward to improve the LIM drive working efficiency. Simulations and experimental results validate the effectiveness of the proposed method in efficiency improvement of LIM drive under various operation conditions. © 2017 IEEE. The soft magnetic composite (SMC) material has attracted great research interests because of its unique feature of high speed low cost manufacturing of electrical machines of complex 3D flux topologies by the highly cost effective powder metallurgical technology. Some electrical machine manufacturers have recently started producing permanent magnet synchronous motors (PMSMs) with SMC cores. Because of the material diversity and fabrication uncertainties, an aggressively optimized design obtained by the traditional deterministic method often result in low quality product and/or high failure rates. This paper presents a method of robust design optimization for manufacturing SMC-PMSMs and drive systems of six sigma quality. Design examples of a transverse flux SMC-PMSM and drive system are presented. © 2016 IEEE.Soft magnetic composite (SMC) materials possess many unique properties, which are particularly suitable for development of novel structure electric motors for various electric drive systems. The unique properties of SMC material include three-dimensional (3-D) magnetic and thermal isotropy, very low eddy current loss, and prospect of very low cost mass production. Therefore, the application of SMC materials in electrical appliance, particularly in electric motors, has attracted great interest in research. However, SMC materials also have some drawbacks, e.g. low permeability, high hysteresis loss and low mechanical strength, and hence a direct replacement of electrical steels by SMC would not necessarily lead to satisfaction or improvement of motor performance. To fully explore the application potential of the SMC materials, their unique properties should be fully employed and at the same time the effects of their drawbacks should be avoided or minimized. This paper aims to present some key issues on design of SMC electric motors based on the extensive research in the past two decades by various researchers including the authors of this paper. The key design issues are discussed and some conclusions are drawn for future effort in this area. Xu, W, Wang, ZY, Lei, G & Zhu, JG 2015, 'Multi-Layer Windings Effect on Performance of Flux-Switching Permanent Magnet Machines', 2015 IEEE International Conference on Applied Superconductivity and Electromagnetic Devices (ASEMD), IEEE International Conference on Applied Superconductivity and Electromagnetic Devices (ASEMD), IEEE, Shanghai, PEOPLES R CHINA, pp. 72-73. © 2015 IEEE. Soft magnetic composite (SMC) material is a relative new soft magnetic material which has undergone the substantial development during last decades. Especially with the low-pressure pressing on the mold, the magnetic core with SMC of the machine can be fabricated easily and the manufacture cost can be reduced greatly. By using this technology, a claw pole machine (CPM) with SMC core was designed and analyzed in 2009 . In this motor, the surface mounted PM rotor was chosen to produce the PM fluxes. © 2015 IEEE. By using the powder metallurgy technology and magnetic isotropy characteristic of the soft magnetic composite (SMC) material, various kinds of the complex structure permanent magnet synchronous machines (PMSMs) can be designed and fabricated easily e.g., axial-flux machine, claw pole machine (CPM) and transverse-flux machine (TFM) -. With the global coil applied in the CPM and TFM, the CPM and TFM has higher torque density than other PMSMs , . As a special PMSM, the axial flux PMSMS can provide the relatively high power density and excellent efficiency as well . In this paper, a novel axial-flux claw pole machine (AFCPM) with SMC core is developed, which combines the merits of the axial flux machine and CPM. To show the advantages of AFCPM, there is a performance comparison between this motor and the outer rotor TFM. It can be found that the AFCPM with NdFeB excitation has higher torque ability and lower cogging torque than that of outer rotor TFM, while the AFCPM with ferrite magnet is a good candidate for low cost application. Lei, G, Guo, YG, Zhu, JG & Xu, W 2015, 'An Optimal Flux-Switching Permanent Magnet Machine for Hybrid Electric Vehicles', 2015 IEEE International Conference on Applied Superconductivity and Electromagnetic Devices (ASEMD), IEEE International Conference on Applied Superconductivity and Electromagnetic Devices (ASEMD), IEEE, Shanghai, PEOPLES R CHINA, pp. 104-105. © 2015 IEEE. This paper presents a multidisciplinary design analysis method for permanent magnet (PM) motors with soft magnetic composite (SMC) cores. Firstly, a multidisciplinary design analysis process is investigated to evaluate the performance of these motors, which includes electromagnetic analysis (based on new core loss model), thermal analysis, and mechanical modal analysis. Then a lumped 3-D thermal network model is developed for the thermal analysis in the design process. Finally, to demonstrate the effectiveness, a PM transverse flux machine (TFM) with SMC core is investigated. The numerical solutions including electromagnetic analysis and thermal analysis are validated by comparing with previous experimental results. Then Finite element model is employed to verify the obtained solutions in terms of thermal analysis and modal analysis for the optimal design scheme. © 2015 IEEE. With the great concerns on alleviating the pollution on the environment and traffic congestions; there is a trend for developing the electric vehicles , . For such drive system, the in-wheel machines draw the main attention due to its relative higher torque density and compact structure . With the permanent magnet (PM) located on the stator teeth, the flux switching permanent magnet machine (FSPMM) has relative high torque density, robust structure, etc., when compared with other machines . A great number of work had been done on the FSPMM during last decades, which includes novel topology, control strategies, performance analysis etc. For the novel topologies of the FSPMM, the E-core, C-core, multi-tooth, different stator slots and poles combinations were investigated and compared , . Compared with the inner rotor FSPMM, the outer rotor FSPMM exhibits the higher torque density, as it has higher air gap radius. In this paper, a 188 W 120 rpm outer rotor FSPMM is designed and analyzed for the electric vehicle. Flux-switching permanent magnet machines (FSPMMs) has been investigated for many application including hybrid electric vehicles due to its special configuration and high power density. This paper aims to present a robust optimization method for this kind of machine to improve its manufacturing quality in industry. The proposed robust method is based on design for six-sigma technique. Different topology structures, shape parameters and their manufacturing tolerances will be investigated in this method. Finally, a FSPMM is designed to maximize the average torque and to minimize the torque ripple and cogging torque under the framework of the proposed method. From the discussion, it can be found that the proposed method is efficient and can increase the reliability of the investigated FSPMM. A single-sided high-temperature superconducting (HTS) linear synchronous motor (HTSLSM) with an HTS bulk magnet array as its secondary has been developed in our previous work. This work presents multiobjective design optimization for this HTSLSM for its broad industry applications. Moreover, a new topology is presented for the primary of this HTSLSM. The finite element model used for the performance calculation has been verified by experimental results. Through the design optimization, it can be seen that the motor performances have been improved greatly for both initial and new topology primary structures. © 2015 IEEE. Superconducting magnetic energy storage (SMES) is an important device in renewable systems. It can improve the power supply quality and enhance the stability and reliability of power system. This work will investigate the manufacturing and operating reliability and quality of SMES based on a benchmark problem so as to improve its industry applications. Robust design optimization based on a technique called design for Six-Sigma is presented to investigate the above problem. Meanwhile, multilevel optimization method is employed to reduce the computation cost of finite element analysis due to high-dimensional parameters. As shown, the reliability and quality of the SMES after robust optimization have been improved significantly. © 2015 IEEE. Flux-switching permanent magnet machines (FSPMMs) have been investigated for hybrid electric vehicles (HEVs). This paper presents an optimal FSPMM with 12 stator poles to meet the performance specifications required by the drive machine in the Prius HEV. After a qualitative analysis based on size equation to briefly compare performances of FSPMMs with four rotor topology structures, a quantitative analysis method based on multilevel optimization is presented to obtain an accurate performance comparison. It is found that FSPMMs with different topology structures have different optimal structural parameters, and the optimal one with 13 rotor poles has the best performances in terms of output power and efficiency among four different rotor structures. This a er addresses the roblem of reventive maintenance o timization for NC machine tool. Firstly, the NC machine tool is divided into four subsystems according to the function module. The failure robability density function of each subsystem is estimated with the fault information records. Then, the o timal reventive maintenance eriod is estimated for each subsystem considering the availability. The o timal eriods of all the subsystems are used to derive the reventive maintenance strategy of the whole machine. Finally, a numerical case is resented and the result shows the erformance of the ro osed approach. © (2014) Trans Tech Publications, Switzerland. © 2014 IEEE. Different kinds of sequential optimization strategies have been developed and employed for the design optimization of electromagnetic devices and systems in recent years, such as electrical machines and superconducting magnetic energy storage system. Besides the traditional low dimensional and single objective problems, they can be employed for high dimensional and multiobjective design optimization problems. Meanwhile, they can significantly reduce the computation cost of finite element analysis and improve the optimization efficiency. This paper aims to present a state of art of sequential optimization strategies for single and multi-objective electromagnetic optimization problems. Furthermore, a fast sequential sampling method is presented based on the framework of sequential optimization. Future work about sequential optimization and related research topics will be proposed as well. © 2014 IEEE. Amorphous and nanocrystalline alloys show attractive magnetic properties, and can be the excellent choice to develop the cores of high-frequency high-power transformers used in high-power density renewable power generation systems. However, the electromagnetic design of high-frequency power transformers is a multi-physics problem and thereby affects the system efficiency and cost. In this paper, four high frequency transformers are optimally designed with amorphous and nanocrystalline alloy-based cores and electromagnetic performances are evaluated by finite element method. The results are analyzed and found their huge potentiality for future smart grid applications. This paper proposes a novel low-cost claw pole permanent magnet motor with soft magnetic composite (SMC) core and ferrite permanent magnet (PM). Since the ferrite PM is much cheaper than the rare earth PMs, the material cost of this motor can be reduced greatly. And the special spoke type rotor can make the ferrite PM produce very high air gap flux density in this motor. By using the SMC material, the claw pole stator and rotor core can be manufactured very easily. A 675 W 1.8 Nm claw pole motor is designed to replace the conventional permanent magnet synchronous motor (PMSM) in a refrigerator compressor. The finite element method (FEM) package ANSOFT and simplified magnetic network method are used to calculate the electromagnetic parameters of this motor. And the equivalent electric circuit is developed to predict the motor performance. This paper proposes a low-cost permanent magnet synchronous motor (PMSM) with soft magnetic composite (SMC) and ferrite permanent magnet (PM) for home applications. The main novelty of this proposed motor is that it combines two relatively cheap magnetic materials in an axial flux switching permanent magnet motor (AFSPMM). By using the ferrite PM and SMC material, the material cost and manufacture cost of AFSPMM can be reduced greatly. A 675 W 3600 rpm AFSPMM is designed and analyzed in this paper. The commercial finite element method (FEM) package ANSOFT is used to analyze the motor performance and the d-axis current is set to zero to achieve the optimum torque characteristic. This paper presents the performance analysis of two different multiobjective optimization schemes for a permanent magnet transverse flux motor (TFM) drive, in which soft magnetic composite (SMC) material is employed as the motor core. Firstly, deterministic multiobjective optimization method is introduced for developing the SMC TFM motor drive while taking into account the unique properties of SMC. Secondly, robust multiobjective optimization method is presented to improve the reliability of the drive from the point of view of industrial application. The optimization results show that the performances of the drive system with robust design optimization have improved a lot compared with deterministic design optimization; the designed products have very low probability of failure against manufacturing error and environment variation; this is crucial in modern quality control. Furthermore, the users have flexibility to choose among a series of optimal results in those obtained multiobjective optimization solutions. Lei, G, Guo, Y, Zhu, J, Li, K, Li, Y & Shao, KR 2011, 'Multiobjective Electromagnetic Devices Design Based on Improved EDA with Sequential Optimization of the Probability Model', Proceedings of International Conference on Electrical Machines and Systems (ICEMS), IEEE, Beijing, China, pp. 1-4. This paper presents simulation and experimental studies of permanent magnet synchronous motor (PMSM) control methods, including vector control (VC) or field oriented control (FOC), direct torque control (DTC) and model predictive control (MPC). The static and dynamic performance of each method are performed and compared in Matlab/Simulink and dSAPCE system. Voice coil actuator is a new kind of direct drive motor. It has many good performances, such as high acceleration and fast response. We present an improved sequential optimization method (SOM) and dimension reduction optimization method to design optimization a cylindrical voice coil actuator in this work. In the implementation, design of experiments (DOE) technique and Kriging approximate model are employed to improve the optimization efficiency. From the discussion, we can see that the proposed methods are very efficient. And computation cost of finite element analysis can be reduced remarkably (more than 2/3 of the cost has been saved) by the proposed methods. Li, Y, Chen, J & Lei, G 2010, 'Model selection strategy for the sequential optimization design of electromagnetic devices', 2010 International Conference on Electrical Machines and Systems, ICEMS2010, pp. 1826-1829. Model selection strategy is investigated for sequential optimization method (SOM) to deal with the optimization design problems of electromagnetic devices. Four kinds of approximate models, response surface model, radial basis function model, Kriging model and artificial neural network model are considered respectively. From the analysis of two mathematic test functions and an IEEE TEAM benchmark problem, we can see that the total cost of finite element analysis can be obviously saved by SOM with all kinds of approximate models. Moreover, the efficiency of SOM depends a little on the types of approximate models. Three sequential design of experiments (uniform, Latin hypercube and central composite designs) techniques are presented to deal with the optimization design problems of electromagnetic devices. These methods can be employed not only as the sampling techniques for the sequential optimization method, but also as a direct sampling optimization method. Thereafter, we use a TEAM Workshop problem to demonstrate the efficiency of the proposed methods. From the experiments and the comparison, we can see that the proposed methods can produce satisfactory solutions, and the compute cost of the total finite element analysis can be remarkably reduced. © 2010 IEEE. Li, Y, Lei, G & Shao, KR 2008, 'Coupled field analysis of electrostatic comb-drive actuator using reduced order modeling principles', 2008 World Automation Congress, WAC 2008. This paper presents a modeling of lateral electrostatic Comb Drive actuator and develops a 2D finite element model using reduced order modeling (ROM) principles to analyze the coupled field. This technique reduces the Comb Drive to a group of equivalent lumped parameters finite elements which capture the device behavior. Finally, Simulation results are validated using an analytical approach, both methods give very similar results. The strongly coupled field problem is effectively solved by reduced order modeling (ROM) and the relation between structure parameters and the electrostatic force and the displacement is discussed. Lei, G, Li, Y, Zhao, J & Shao, KR 2008, 'Statistical sequential analysis for particle size distribution of magnetic nanoparticles', 2008 World Automation Congress, WAC 2008. We present two statistical sequential analytical approaches to estimate particle size distribution of magnetic nanoparticles. They are termed sequential least square estimation and sequential linear minimum mean square error estimation, respectively. These approaches are implemented and quantified within the formalism of sequential estimation theory. The proposed methods are based on the data sampled sequentially in time and no matrix inversions are required in the implementation. To illustrate the efficiency of the proposed approaches, we give two examples of the particle size distributions in ferrofluid with normal sample and lognormal sample, respectively. In both cases we compare the reconstruction distributions using our methods with those calculated via the electron microscopy images of the ferrofluid particles. Lei, G, Shao, KR, Li, Y, Yang, G & Zhao, J 2008, 'Sequential response surface model method for the optimization design of SMES', Proceedings of the 11th International Conference on Electrical Machines and Systems, ICEMS 2008, pp. 328-331. The TEAM Workshop problem 22 deals with the optimization design of a Superconducting Magnetic Energy Storage (SMES). It is a benchmark optimization problem in electromagnetic device design. To address this problem, sequential response surface model method is presented in this paper. Compared with the direct optimization method, we can see that the number of finite element sample points can be obviously reduced by our proposed method. Li, Y, Lei, G & Shao, KR 2008, 'Robust global optimal method for electromagnetic device design using approximation models', Proceedings of the 11th International Conference on Electrical Machines and Systems, ICEMS 2008, pp. 497-500. This paper presents a fast global optimal method for the optimization design of electromagnetic device, which based on the approximation models and the global optimization algorithms. Two approximate models, radial basis functions model and compactly supported radial basis functions model, are fully discussed in this paper. In order to illustrate the efficiency and robustness of the proposed method, an analytical test function and the TEAM Workshop problem 22 are investigated. Analysis and comparison show that the presented method is promising. The finite element sampling points can be obviously reduced by the proposed method. Zhang, Y, Lei, G, Shao, KR & Lavers, LD 2008, 'A global optimal technique based on moving least square and improved differential evolution', Proceedings of the 11th International Conference on Electrical Machines and Systems, ICEMS 2008, pp. 409-412. This paper presents a global optimal technique based on Moving Least Square (MLS) fitting technique and Improved Differential Evolution Algorithm (IDEA) for inverse problems on optimizing electromagnetic equipments. In the proposed method, MLS are firstly used to simulate complex objective functions as a Response Surface Model (RSM) in multidimensional space, for transforming an implicit function to an explicit one, then Differential Evolution Algorithm (DEA) is improved and used by combining with MLS to get the global optimization with high accuracy and efficiency. TEAM Workshop Problem 22, as numerical benchmark, indicates that the proposed method is superior to other random optimal techniques, and it can be comprehensively used for inverse problems in engineering electromagnetic applications.